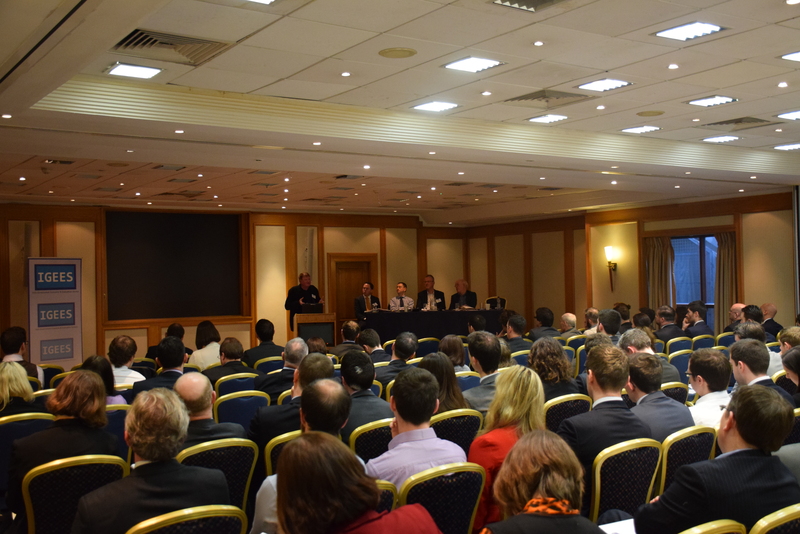 The 3rd IGEES Annual Conference took place on 4th March 2016 chaired by David Maloney, Assistant Secretary, Department of Public Expenditure & Reform. It was attended by over 100 people working in Government Departments, academia and various research institutes. The first IGEES conference considered strategies for sustainable economic & employment growth while the second looked at delivering on socio economic priorities within a sustainable budget. This year’s conference focused on the work of IGEES itself and looked at where IGEES is going in the medium term. The morning started with a presentation by Ronan Lyons on Irish Economic History and Lessons for the Future. This was a review of key themes and events that have marked Irish Economic History and was followed by a discussion/Q&A by the panelists. The conference then split into two parallel sessions where IGEES staff showcased their work by presenting on seven topics across Departments. The final session provided an opportunity for discussion on the impact of the work of IGEES within the policy making process and the development and the future of IGEES. Special thanks to presenters and panel members for their contribution: Ronan Lyons (TCD), Colm McCarthy (UCD), Frank Barry (TCD), Senior Management: Laura Behan, Robert Watt, Derek Moran, Anne Vaughan and Ann Derwin, IGEES staff: Sean Kennedy, Laura Watts, Dr. Javier Papa, Dr. John Harnett, Saidhbhín Hardiman, Hugh Cronin , Daniel O’Callaghan, Jenny Connors and Eric Doyle. Special thanks to all conference participants. Financial Incentives and Welfare Rate Reduction – Eric Doyle, Department of Social Protection.